Y'all. WHAT A FUN DAY! That's about all I have to say about this one! OK. But in all seriousness - it was a perfect day and a very well organized race. 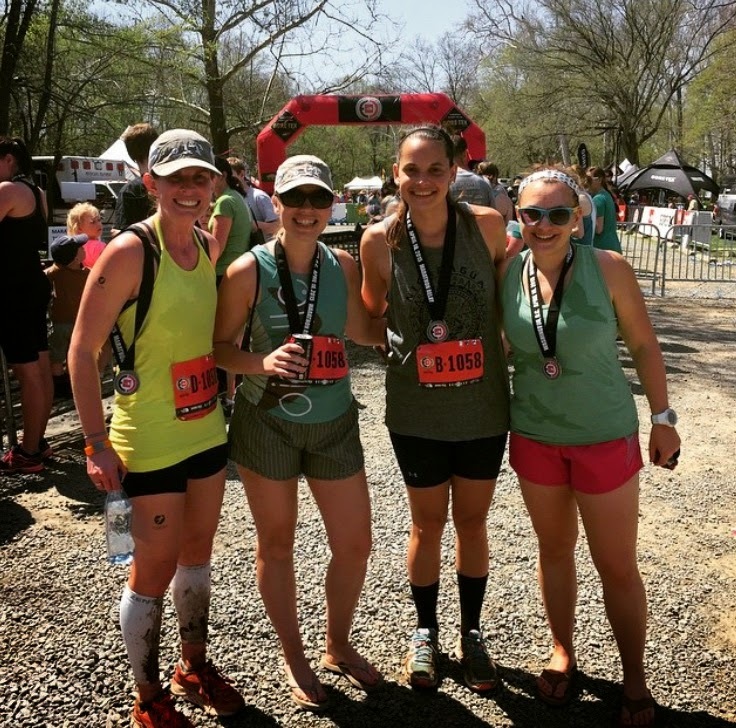 So the Oiselle DC birds got two teams of four organized for the Marathon Relay portion of the North Face Endurance Challenge. 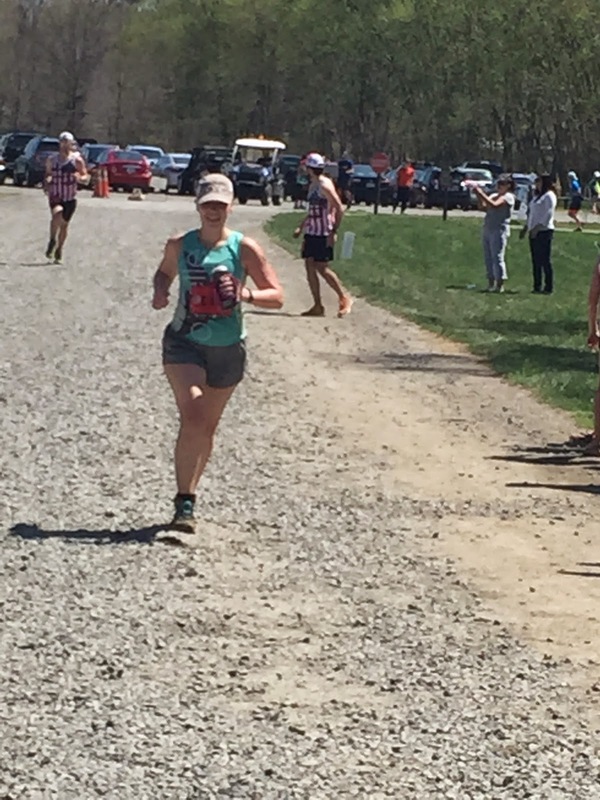 There also was a 50-Miler, 50k, Marathon, Half, 10k, 5k and Kids Runs going on throughout the weekend-the longer races all occurring on Saturday. We all met at the parking area and were shuttled over to Algonkian Park (which you might recall from an earlier post we did a practice run at a few weeks ago). We set up camp in the nice grassy areas overlooking the Potomac River and then explored all the vendors onsite while waiting on time to get going! It was a BEAUTIFUL 80 degree day, as you'll notice in my pictures. So pleasant! All week I had been watching that 80 percent chance of rain for race day diminish, thank goodness!! After attempting to hear instructions on the transition process from race directors, it was time to get moving! The first half mile or so was the most consistently squishy and muddy. It was more or less around a field, sorta, and it had rained the day before. This was probably the hardest part of the course for me. Every.Single.Step. was squishy and hard to pull out of! Haha. I tried to stay light on my feet, but it was tough stuff! The rest of the course was a little bit of everything - paved trails, gravel, dirt, mud...and a portion mimicked the practice trail we ran a few weeks ago. Our fellow runners were all so nice along the course - just about everyone you passed had some words of encouragement to share! 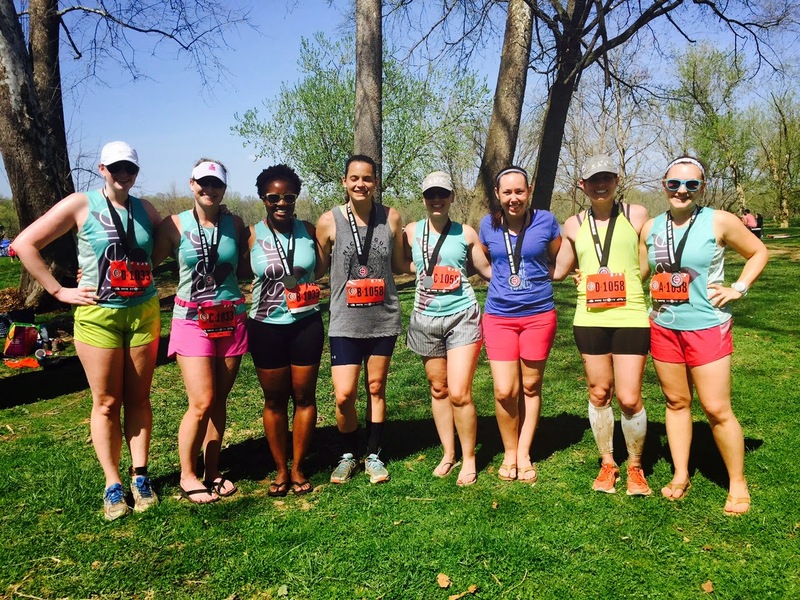 Both of the Oiselle teams finished in about 4 hours and change. It wasn't a TRUE marathon, as each leg was right at 6 miles...so everyone averaged right around an hour 6 mile portion - other than our speedster Colleen, gosh that girl can get it! :-) She made up for my slower time of 1:13:50 with her short little 50 minute trek. So there you have it. All in all it was a great day for running, as well as hanging out and getting to know my Flockmates better. So that wraps up week 3 of 5 organized runs straight. 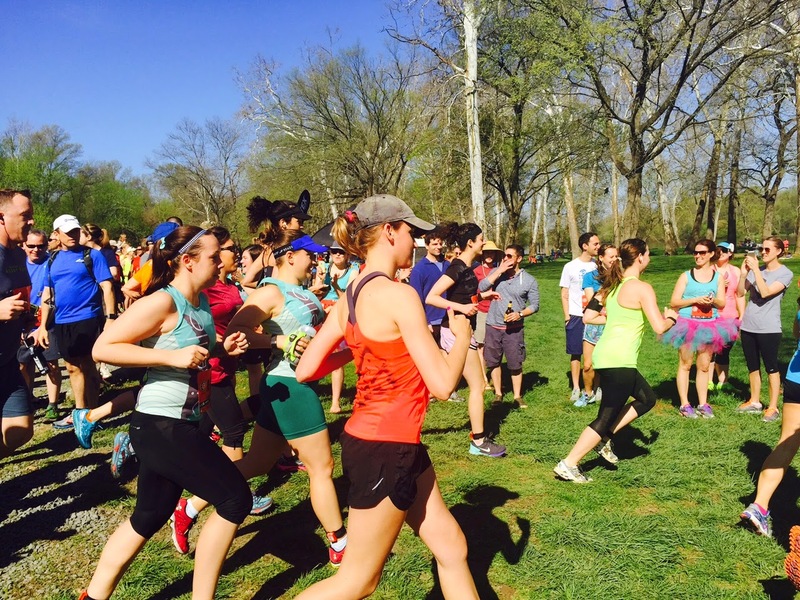 Next up, GW Parkway Classic 10-Miler this Sunday!! Hoping for a little PR after last week's Cherry Blossom debacle - we will see. Did you run in the wonderful weather this weekend? Who watched the Boston Marathon yesterday? How cool was Meb's finish? ?